Spring is early this year, experts say. Here’s a resource to help you anticipate when green-up will hit your neck of the woods. That and more awaits you in this week’s Trending Headlines. Does it seem that spring is early this year? The National Phenology Network says that spring is two to three weeks early this year in the southern U.S. and they're expecting this trend to continue moving north, reports onpasture.com. Phenology is the study of recurring plant and animal life cycles. It helps us understand the temperatures and climate conditions plants need to begin growing each spring. In fact, the National Phenology Network has a set of "spring indices" based on information about the accumulated warmth required for native and cultivated plants to leave dormancy and begin to grow. Click here for the National Phenology Network. Click here to sign up to be a phenology spring weather watcher. Social media has long been touted as a great way for ranchers and farmers to talk with consumers about how their food is produced. For those who take advantage, here’s a resource on antibiotics to check out. Antibiotics are just one tool that can be used by cattle farmers to ensure the health of the animals they care for. 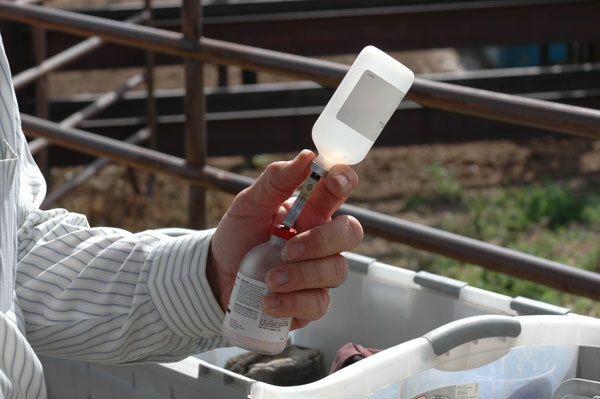 Cattlemen work with their veterinarian to develop a preventative herd health plan including routine vaccinations to promote strong immunity against common cattle diseases. Click here to check out this great resource produced by the beef checkoff, explaining antibiotic use in cattle. Is shoddy journalism intentional or just ignorant? The New York Times continues to come up short in their coverage of food and farming, says Jon Entine with the Genetic Literacy Project. He points to the longstanding love that the newspaper has had for Michael Pollan—a blogger who makes no bones about wanting to bash modern production agriculture every chance he can get. Entine contends he has gotten a free pass for a long time at the New York Times- Pollan apparently agrees, based on this quote from a video from 2013. Click here to read more of Entine’ analysis. Bull sale season is upon us and as cow-calf producers carefully examine all the data in the sale catalogs, they have a few key traits in mind. For producers looking for a bull to sire "easy keeping" cattle, researchers in Canada have reason to believe that selecting for bulls with desirable feed efficiency might put negative selection on passing a breeding soundness examination (BSE) as a yearling, according to the Beef Cattle Institute at Kansas State University. The research found an inverse relationship between feed efficiency and reproductive function. This study divided bulls into low and high residual feed intake (RFI) categories to analyze performance. The two groups had a 1.40 kg difference (about 3.1 pounds) in daily dry matter intake, with low-RFI bulls having a 25-35% reduction in rib fat than high-RFI bulls. A low RFI indicates an animal that is extremely efficient in comparison to their contemporaries, or one that gains weight on less feed. 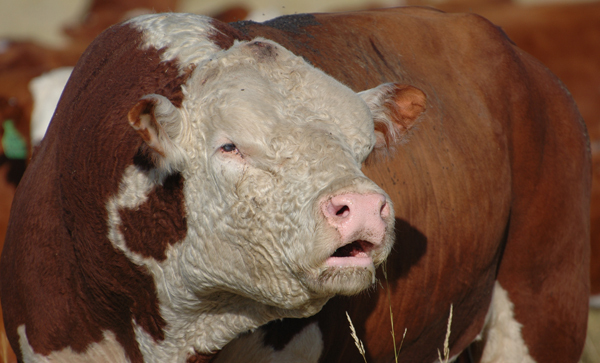 Low-RFI bulls were found to have lower sperm motility and increased sperm abnormalities, both indicators of delayed sexual maturity. This research confirms that genetic improvement requires a balanced selection of traits, not single trait selection. Improvements in traits such as feed efficiency are only valuable if they do not offset improvements made in reproduction performance. 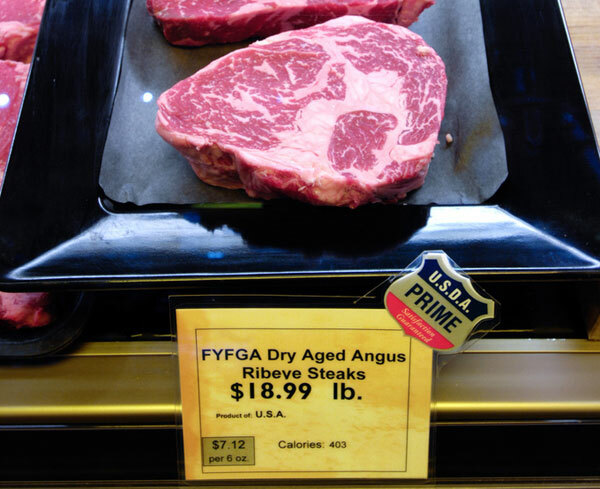 The South Dakota legislature has stopped a move to require country-of-origin labeling (COOL) on beef sold within the state, reports KTIC radio and the Tri-State Livestock News. Only 13 senators voted in favor of rewriting the state's COOL law. While those in favor of the law say consumers have the right to know, voters against the bill say federal regulations would supersede an amended South Dakota law. South Dakota's State Cattlemen's Association also said the measure would not be enforceable. The U.S. repealed COOL in December 2015 after Canada and Mexico convinced the World Trade Organization that the rule was discriminatory and violated international trade laws.